Bioeconomy can help efforts to tackle pressing global concerns, including hunger, poverty, and climate change. This was according to Food and Agriculture Organization Deputy Director-General for Climate and Natural Resources, Maria Helena Semedo, speaking at the Global Bioeconomy Summit in Berlin, Germany on April 20, 2018. 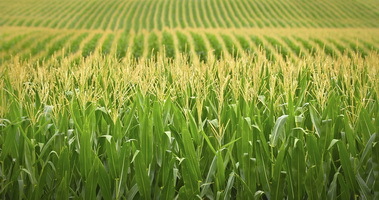 Bioeconomy refers to an economy that uses biomass instead of fossil resources to produce food and other goods such as bioplastics and biopharmaceuticals. Semedo highlighted that bioeconomy is about nature and the people involved in maintaining and producing biomass—the family farmers, forest people, and fishers, who are also "holders of important knowledge on how to manage natural resources in a sustainable way." "We must foster internationally-coordinated efforts and ensure multi-stakeholder engagement at local, national and global levels," she said, noting that this requires measurable targets, means to fulfill them and cost-effective ways to measure progress. "Together, let's harness the development for sustainable bioeconomy for all and leave no one behind," Semedo said, stressing how FAO works with member states and other partners across the conventional bioeconomy sectors - agriculture, forestry, and fisheries - but also relevant technologies such as biotechnology and information technology to serve agricultural sectors.